The 2014 BCS National Championship will take place at the Rose Bowl on Monday, January 6, between the Florida State Seminoles and Auburn Tigers. 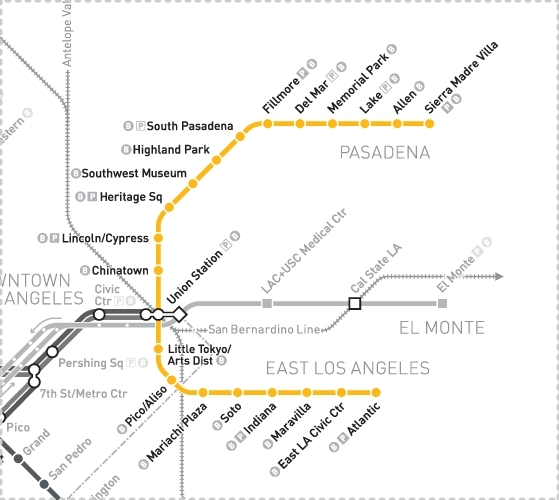 Metro will run enhanced service on the Gold Line throughout the day to accommodate those going to the game; pre-game festivities begin at 4:30 p.m. and kickoff is scheduled for 5:30 p.m.
Use the Memorial Park Station to get to the Rose Bowl. After exiting the station, turn right and walk west for two blocks on Holly Street to the Parsons parking lot, where you can catch a free shuttle run by the Rose Bowl. Buses leave from the Pasadena Avenue side of the lot and will run continuously from 1:30 p.m. until approximately two hours after the end of the game. 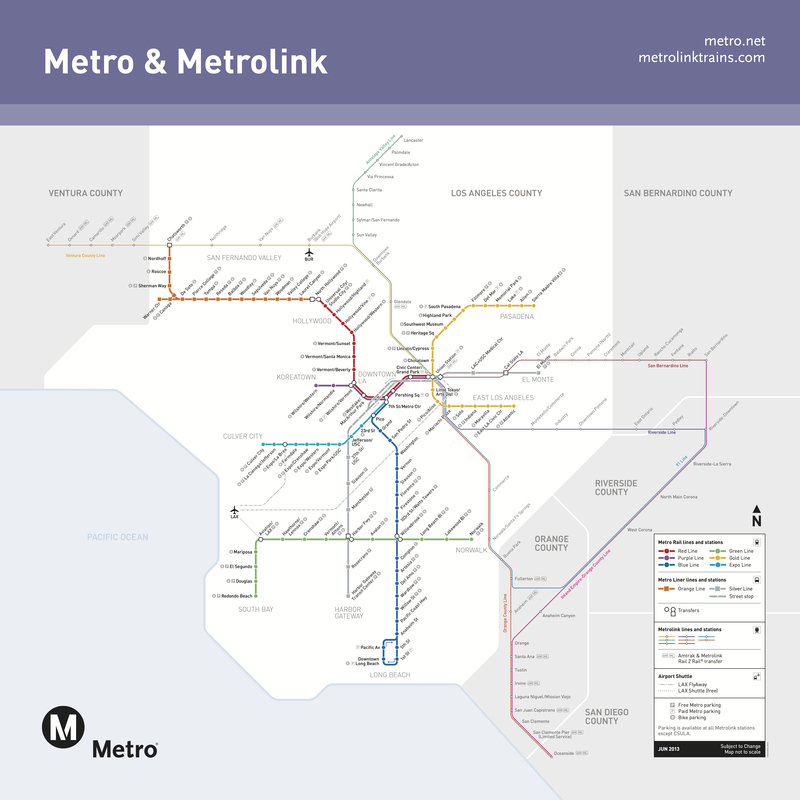 Keep reading after the jump for more information on how-to-ride Metro Rail and the location of Metro Rail stations, as well as those with park & ride lots. Single-Ride is $1.50 per line (no transfers included) and must be loaded onto a reusable TAP card ($1). If transferring to other lines and to avoid long return lines at TAP Vending Machines, customers should purchase an unlimited $5 METRO DAY PASS, good until 3 a.m. the following morning. Each customer must have their own reusable TAP card (no sharing). TAP cards must be tapped before boarding each line, including at transfer stations. Two children under age 5 may travel free with each fare-paying adult on bus or rail. Please click here for complete fare information. Green “Paid Permit Only” spaces at Metro Rail stations are available for general use after 11 a.m. Parking at Metro Rail stations tends to open up after 2 p.m. as early commuters begin to head home. Below are Metro Rail stations with parking which may already be filled to capacity due to morning rush hour commuters (by 9 a.m.). 2nd paragraph: Walk west, not east. Alan & Steve, I pointed out that -exact- error in another posting. What ever the source of the cut and past has an error in it. What is the latest pick up time after the game from the Memorial Park Station? Thx! The last train leaving from Memorial Park Station towards Union Station is at 1 a.m.